What is the funniest planet? If your answer was Uranus, you’ve come to the right place! If you were also aware that Uranus is a gas giant, then you get a gold star! Yes, if you’re being pedantic, Uranus is technically a separate category called an Ice giant, but what’s funny about that! Basically this is a film with a lot of fart and bum jokes and who would want anything else? George and Harold are two best friends. They both go to the same school and love to pull pranks. They also write comic books about the adventures of Captain Underpants. Their headmaster Mr. Krupp demands the full school attend Invention Day one Saturday morning. When our two protagonists super charge one of the inventions, it causes much mayhem. But their prank is caught on film and they are brought before Mr. Krupp. His punishment is cruel as he separates the two kids, changing their class. In a desperate attempt to stop this happening, the kids use a hypnotizing ring that came free with a breakfast cereal to entrance their headmaster. To their surprise, it works! First they make Mr. Krupp think he’s a chicken, then a monkey, then they settle on… Captain Underpants! 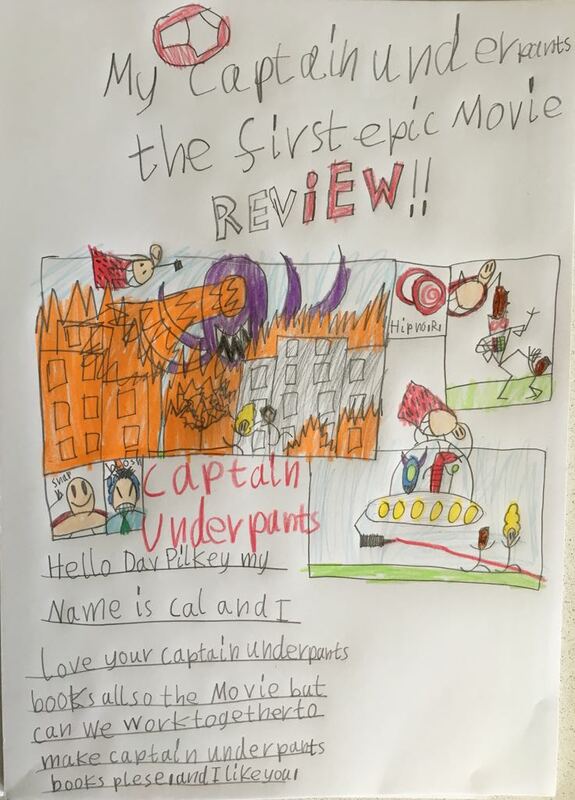 This is the first film adaptation of the Captain Underpants series, which is much loved by many kids. The novels are written and illustrated by Dav Pilkey, with the first one released in 1997. They have since gone on to have 12 books in the series and 3 spin offs and have sold 70 million novels worldwide. Let that number sink in for a minute, it’s quite staggering! So the only real surprise with this film is that it hasn’t happened many years earlier. 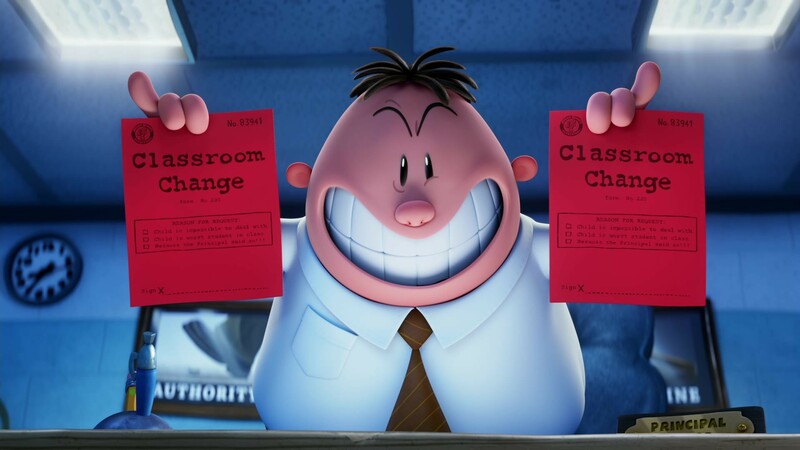 The film is nicely packed with gags, and even a few changes in the animation style as they move to sock puppets and flip books on occasion. There is much invention in the film and it bounces along at a good pace. There is possibly too much plot in some places, as we discover the finer points of the world we really didn’t need to know! This is a movie with a ready made audience of fans who will demand their trip to the cinema. For the adults in the audience, it is an enjoyable romp and easy viewing. Just remember to pack your whoopee cushion!